POLICE AND ANIMAL experts are currently trying to locate and recapture a lone wolf that escaped from a zoo in Essex earlier today. Essex police confirmed they were assisting staff from Colchester Zoo in the task about an hour ago. At the same time, the animal was spotted and an area has been contained. It is understood the wolf is sheltering in thick undergrowth. Two of its companions were shot dead after escaping their enclosure earlier. 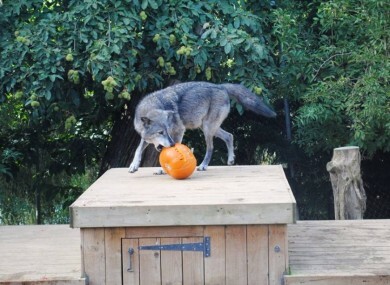 Colchester Zoo’s keepers have been devastated by the loss of two of their beloved timber wolves. “Wolves are naturally timid and provided they are not cornered in any way do not provide a risk to the public,” she concluded. Email “A wolf has escaped from a zoo in Essex”. Feedback on “A wolf has escaped from a zoo in Essex”.